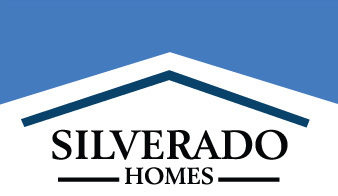 Silverado Village Placerville is one of the newest communities in the area designed specifically for active seniors. It has received positive praise and has quickly become one of the most popular options for seniors looking to buy in the Sacramento area. There are two move-in ready homes immediately available for homeowners who are looking to make a move without having to wait. The first move-in ready home that is currently available is a Plan 1 that sits on Homesite 18. This plan is 1,207 square feet and features two bedrooms and two bathrooms. It also has an attached two-car garage and a covered back patio. The house is located on a coveted corner lot that is near the mailboxes as well as the visitor parking area. On top of all of the standard amenities that are included in every house in Silverado Village, Homesite 18 also has many high-end upgrades and customizations. It has hardwood floors, a fireplace in the great room, upgraded granite countertops and stainless steel appliances in the kitchen. It also includes upgraded tile and carpet throughout the rest of the home. Another move-in ready home is also a Plan 1 and is located on Homesite 17. It has two bedrooms, two bathrooms, a two-car garage, and is 1,207 square feet. It sits on a convenient lot that is near the mailboxes, as well as, the visitor parking area, and is within close distance to the Village Center and Eskaton Lodge, where residents can enjoy access to a spa, an indoor heated swimming pool, a community room, and a fully-equipped fitness center. This move-in ready home features upgraded carpet and tile throughout, stainless steel appliances, and the added bonus of granite countertops. It features a large walk-in closet in the master bedroom and double vanities in the bathroom. Silverado Village is ideally located within the thriving city of Placerville where grocery stores, shops, doctor’s offices, golf courses, and walking trails are all very close by. Silverado Village is also located in proximity to a variety of wineries, museums, art galleries, and antique stores. The community is just a short drive away from Lake Tahoe, the ocean, and various state parks, as well.